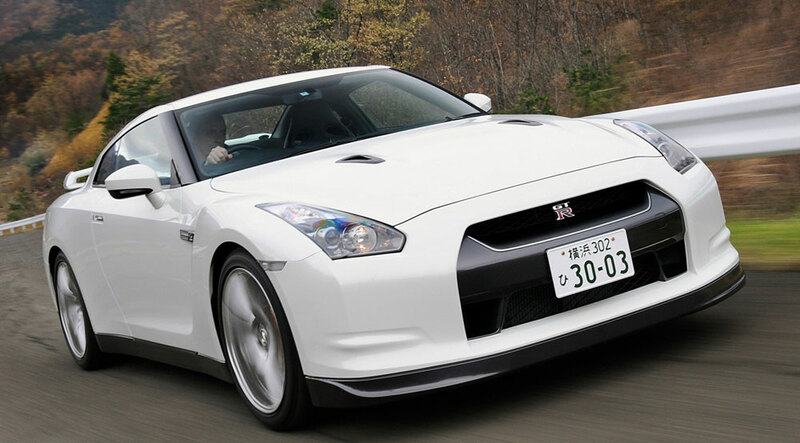 The 2009 Nissan GT-R is a technical tour de force, with evidence of brilliance throughout. We would have a hard time with the GT-R as an everyday driver, but it offers fun and exhilaration at heart-stopping levels.It must be Christmas, because a 2009 Nissan GT-R showed up in our garage. Just like how we spent 1973 transfixed by commercials for the Vertibird Rescue Ship toy, we slathered over every specification sheet and photo of the new GT-R since the concept was shown at the 2005 Tokyo Auto Show. And in each case, we finally ended up at the controls of one. The GT-R is definitely the biggest, baddest toy on the block. The GT-R is essentially a race car made for the street. Production cars don't generally squeeze 480 horsepower out of a V-6, or have the transmission mounted at the rear axle. And the incredibly rigid suspension feels as if it was made for a race car. The car looks impressive and brutish, a theme that carries into the cabin and the driving feel. The Corvette Z06 has some scary competition in the GT-R. Surprisingly, the GT-R is in no way stripped down, except maybe for the lack of an iPod port. Nissan put all of its excellent cabin electronics in the dashboard, which includes a hard-drive-based navigation system, an impressive stereo with plenty of digital music capability, and even Bluetooth cell phone integration. And those electronics share space with an incredibly detailed performance computer. This Nissan GT-R just doesn't compromise in its car tech. We couldn't wait to drive the real 2009 Nissan GT-R, so months ago we picked up Gran Turismo 5 Prologue, which has a virtual GT-R. We compared the driving experience in each by taking the real GT-R for a drive on back roads north of San Francisco, and the virtual car in the game's Suzuka East track. In the game, we set the physics to Professional, as we figured that should replicate as closely as possible real-world physics.